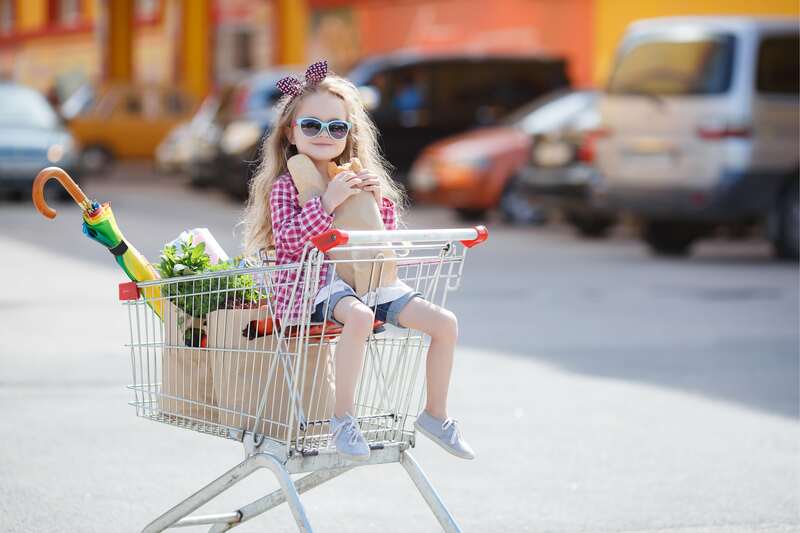 Blog Can We Tell How Many Kids You Have Based on Your Grocery List? When you hit the grocery store, do you leave with your body weight in groceries? We’ve been there. When you add in shopping for the tiny or not-so-tiny-anymore humans in your life, you’ll be amazed just how much those mouths can eat. Add that to your larger, adult-sized appetite and you’ll realize your cart gets a bit hefty. Consider your grocery list. In reality, that list tells more about you than you’d like to admit. From the dark chocolate ice cream you like to secretly indulge in, the vegetable based pasta (you need to cut carbs after the ice cream binge, we get you), to the industrial sized fruit snack pack, what you’re stocking your kitchen with reflects the current state of your home. Stressed out? One bags of chips. Party later? Three bags of chips. Two kids in tow? Two bags of chips, fresh fruit for lunch, and the cereal one of them keeps begging you for. Must we go on? You’ve been there. Let’s see if we can guess how many kids you have – if any – based on your grocery list. Take our quiz below to find out. So, how did we do? Certain telltale items on your grocery list give away how many little ones you might be shopping for. If you’re buying two of the jumbo family packs of individual serve chip bags, we’re going to take a safe guess and assume you’re not just shopping for you and your significant other. Unless you both really like chips. Or, there’s a mega fantastic sale. Then we suppose it makes sense to stockpile. Between snacks, lunch items, family dinner, and household essentials, your grocery list can get expensive. Whether you’re shopping for 2, 3, 4, or even 10 people, save where you can. With Basket, you’ll be able to enter your entire grocery list and discover which supermarket near you has your items at the best price. Never overpay for groceries again when you download the Basket app.